Curated by Halil Altındere, the most comprehensive contemporary art exhibition of the year, brings together 48 artists of different generations from Turkey, who explore the threshold between freedom of expression and crime. 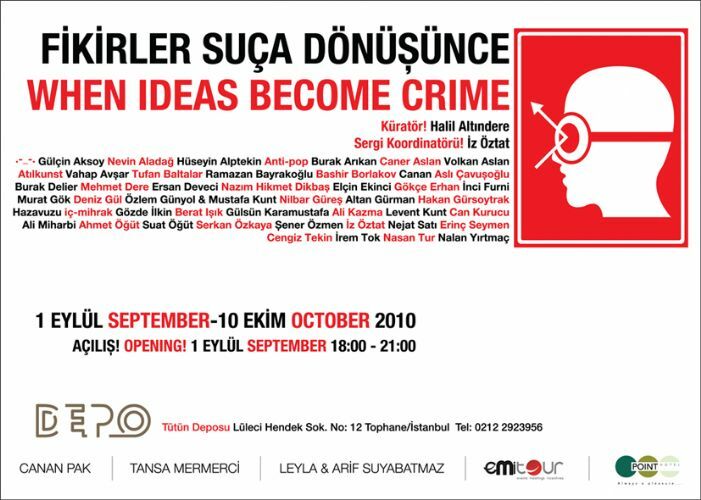 Halil Altındere chooses an (art) historical reference once again for the title of his fifth curatorial undertaking: inspired by Herald Szeeman's exhibition "When Attitudes Become Form", he brings together 48 artists with the slogan "When Ideas Become Crime". 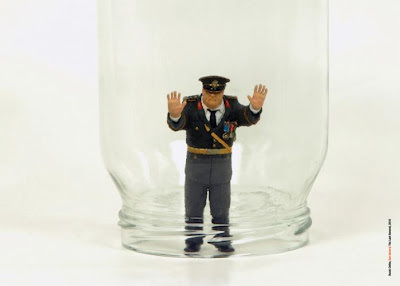 Altındere displays a position of opposition and provocation by presenting political attitudes put forth by artists. One axis of the exhibition is articulated by works, which reflect on militarism, power, hierarchy, nationalism, collective memory, border and gender politics. There is also a more introspective approach, which self-critically reflects on the symbolic economy and power structures among which contemporary art is flourishing. As it has been with previous Halil Altındere exhibitions, struggles in the cultural field are being organized to empower the collective spirit. The exhibition brings together artists from different generations and multiple geographical locations; İstanbul, İzmir, Diyarbakır, Mardin, Berlin, Frankfurt, Amsterdam and New York. This constellation allows for recognizing similar tendencies as well as starting a dialogue between different artistic and political positions. By bringing together works by Altan Gürman, Gülsün Karamustafa and Hüseyin Alptekin with generations who started their practice in 1990s and 2000s, relationships between generations are constructed. Being the work of an artist-curator, the exhibition supports the production of many new works, as well as opening up an experimental space for context-specific reinterpretation of existing works. .-_-. 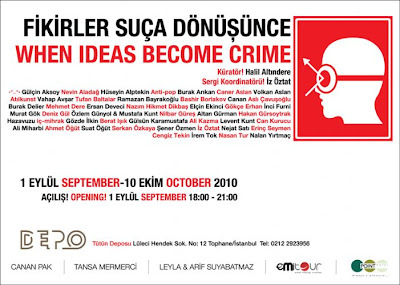 , Gülçin Aksoy, Nevin Aladağ, Hüseyin Alptekin, Anti-pop, Burak Arıkan, Caner Aslan, Volkan Aslan, Atılkunst, Vahap Avşar, Tufan Baltalar, Ramazan Bayrakoğlu, Bashir Borlakov, Canan, Aslı Çavuşoğlu, Burak Delier, Mehmet Dere, Ersan Deveci, Nazım Hikmet Dikbaş, Elçin Ekinci, Gökçe Erhan, İnci Furni, Murat Gök, Deniz Gül, Özlem Günyol & Mustafa Kunt, Nilbar Güreş, Altan Gürman, Hakan Gürsoytrak, Hazavuzu, iç mihrak, Gözde İlkin, Berat Işık, Gülsün Karamustafa, Ali Kazma, Levent Kunt, Can Kurucu, Ali Miharbi, Ahmet Öğüt, Suat Öğüt, Serkan Özkaya, Şener Özmen, İz Öztat, Nejat Satı, Erinç Seymen, Cengiz Tekin, İrem Tok, Nasan Tur, Nalan Yırtmaç.